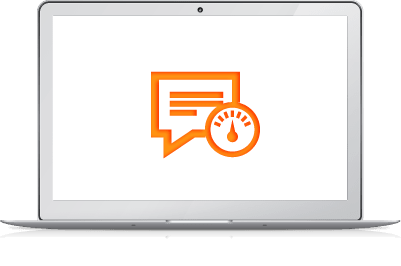 Review Insights from alaTest is a set of market intelligence tools that provide objective and actionable strategic insights based on consumer and expert conversations around brands and products. Dynamically track local and international reviews for your products and evaluate how you compare to the competition. Access new product reviews on a daily basis, for your selection of products and sources. 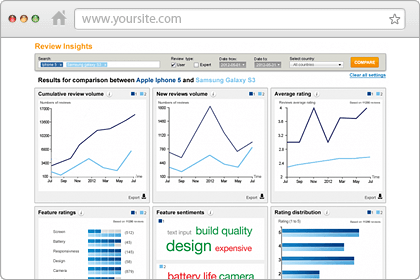 Analyze user and expert opinion on brand, category, product and features and identify strengths and weaknesses. Drill down further to examine detailed data on source, rating, feature or review level. Search to find reviews discussing any topic. Quickly identify and asses any product issues through alerts. Understand and visualize global trends, key product features and benchmark against the competition through customized reports. Large volumes of reviews, ratings, features and sentiments in multiple languages ensure reliability. Keep up with the latest developments through regular report updates, to plan and take any corrective action.